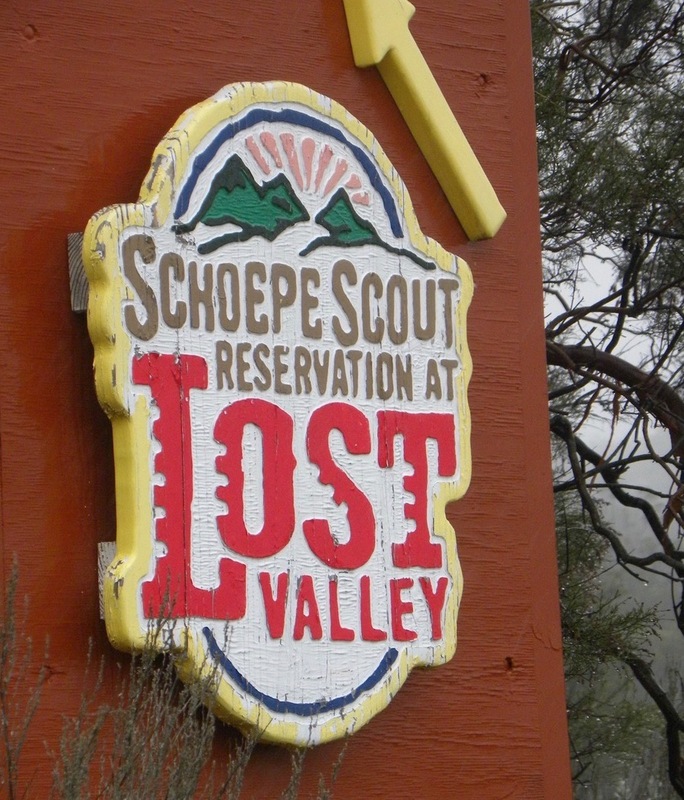 The AGA Go Camp is moving west this year, and will be held at Schoepe Scout Camp at Lost Valley, just outside of San Diego, from July 30th to August 5th. Myungwan Kim 9P will return as the instructor, and Fernando Rivera, Wenguang Wang, and Yanping Zhao will be camp directors. The location, in the mountains above Anza-Borrego State Park, and surrounded by 1,500 acres of national forest, will give kids a taste of the outdoors. The camp features many activities, including high-wire walking, hiking trails, horse-back riding, two swimming pools, boating, and shooting ranges. “During our drive around the camp, I saw herds of deer wandering about. Birds, and other critters are frequent visitors of the camp also,” reports Congress Director Ted Terpstra. “There are native American artifacts on site including rocks where they ground the grain into flour. This is the flagship camp of the Boy Scouts in southern California. I was impressed with the care that has gone into the maintenance of the facilities. It certainly gives an entirely different feeling compared to the packed freeways of southern California.” Camp will be the week before the US Go Congress, and a two hour drive from the site. Youth of all ranks can come and learn from a pro, improve their skills, and then come to compete in the US Open the following week. Airport pick up is available in San Diego for unaccompanied minors. The AGF is again offering a range of scholarships. 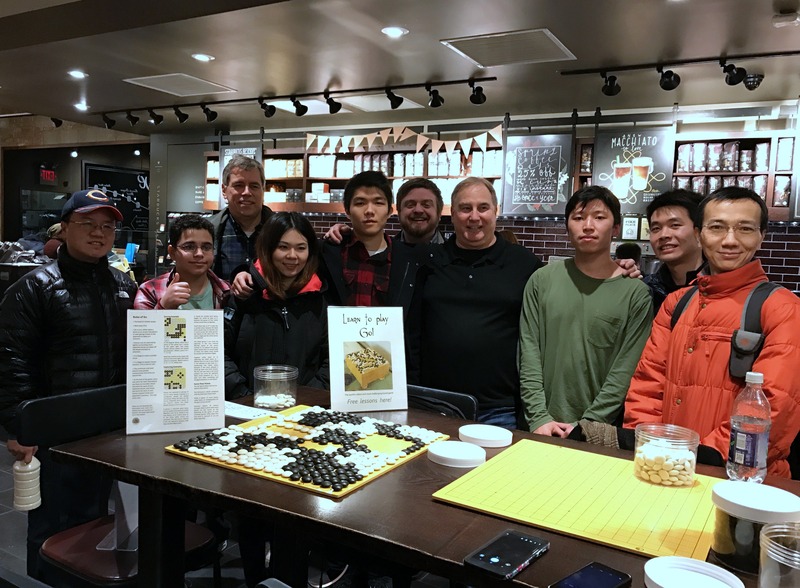 Youth who played in either the Redmond Cup or the NAKC are eligible for $400 scholarships, and the winning teams in the School Teams Tournament will also receive full scholarships to camp. For more info about the location click here, for pricing and registration info, click here. - Paul Barchilon EJ Youth Editor. Photo by Ted Terpstra. 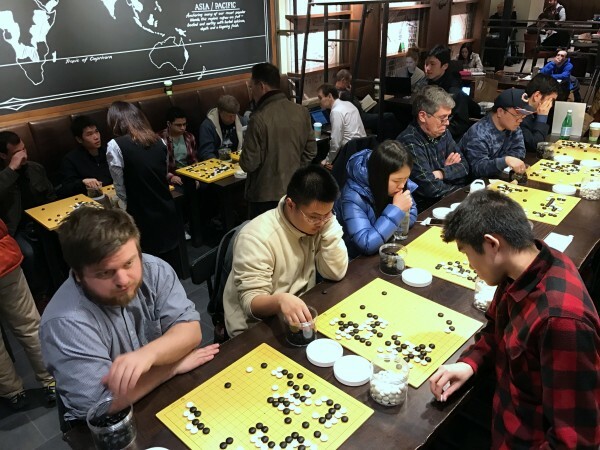 The Confucius Institute of Rutgers University (CIRU), together with the Feng Yun Go School, will host a 3-round tournament in New Brunswick, New Jersey, this Saturday, April 1st. Doors open at 11a. Thanks to support from the CIRU, players of all strengths are welcome to participate free of charge; register online using Eventbrite no later than Thursday, March 30 to guarantee a spot. Participants winning all three of their games will receive both a Rutgers T-shirt and also a performance rank certificate signed by Feng Yun 9p. See the tournament webpage for more information. Registration for the AGHS 2017 North American School Team Tournament is open until April 8th. “Grab two friends and represent your high school, club, or language school,” urges AGHS Promotions Head Albert Yen. “Any non-go institution is eligible to compete, and there is no cap on the number of teams per institution. 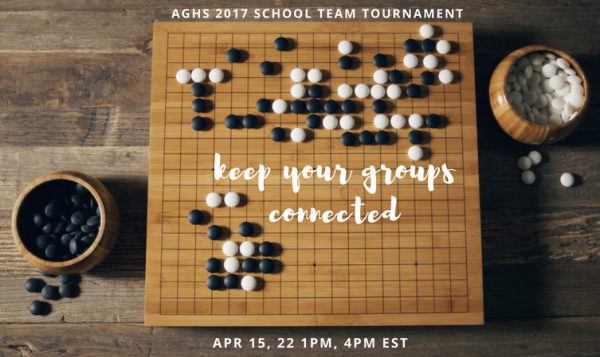 The tournament will be held on KGS; all participants are eligible for an AGA summer Go camp scholarship. Prizes include cash, trophies/medals, and AGHS custom T-shirts for the winning teams.” For this year’s official STT rules click here. Register by April 8th here. -Paul Barchilon, E-J Youth Editor. Image by April Ye. 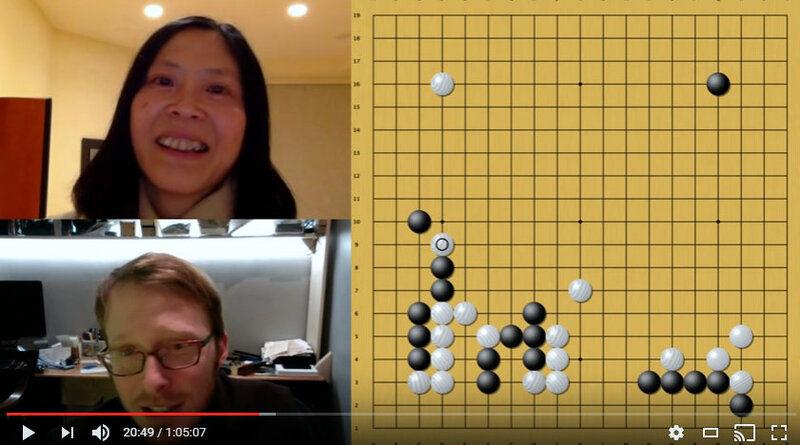 In the latest AGA Master Review Series, Jennie Shen 2P, hosted by Andrew Jackson, translates Meng Tailing 6P’s commentary and adds her own analysis of Master/AlphaGo’s game against Tang Weixing 9P. The 2017 South Central Go Tournament was held in Dallas on February 18-19 drew 38 players from four states – 13 in the Open Section and 25 in the Handicap Section. There were six rounds played. In the Open Section, the winner was Bulin Zheng, 6d; second place Muzhen Ai, 7d; third place, Mark Ma, 5d. In the Handicap Section, top band, the winner was Tim Cox, 2k; second place Jeremy Fernandez, 1k; third place Anthony Long, 1k. 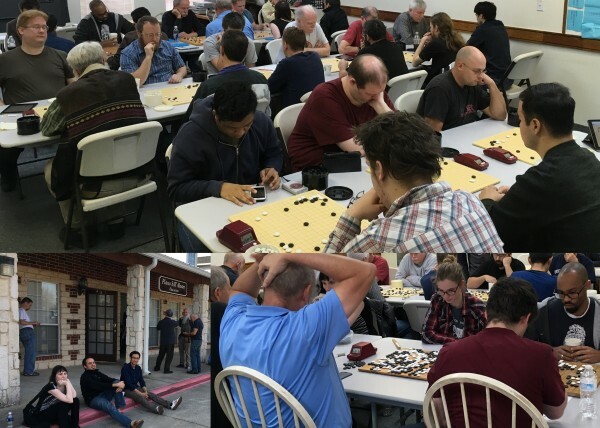 The Davis/ Sacramento Go Club held its Spring Tournament on March 18th at the South Natomas library in Sacramento. There was a good field of eleven players with groups from Reno and the bay area. 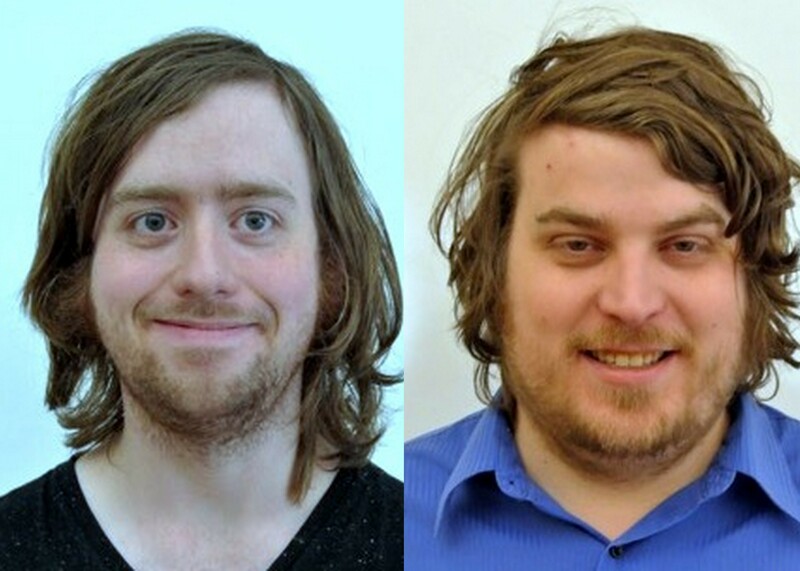 The Upper Division was won by Jonathan Ketner, 1d (left), with a 3-1 score and Travis Pitchford, 3k (right), also 3-1, lead the Lower Division by a tie break. Staking his claim as the best go player in the world, Park Jeong Hwan 9P of Korea has won the 2017 World Go Championship, defeating Mi Yu Ting 9P of China in the final on March 24. In third place was DeepZenGo with one win and Yuta Iyama 9P of Japan took fourth place. Details, including the tournament results table and game records, are here. The Nihon Kiin sponsored the tournament to decide “the best go player in the world.” Park called the opportunity to compete in the tournament “an honor” and said that it was “a good opportunity to improve my skills.”a good opportunity to improve my skills.a good opportunity to improve my skills.think that this is a good opportunity to improve my skills. 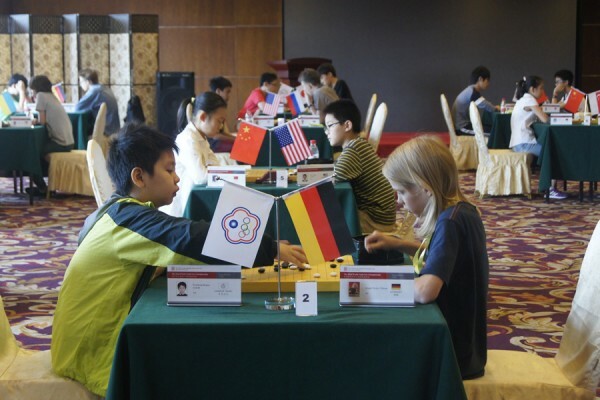 The 34th World Youth Goe Championship is open for registration, reports Mingjiu Jiang 7P. The event is open to US citizens only. The Senior Division is for youth aged 12—15, and the Junior for kids under 12 by July 23rd, 2017. Players cannot be on the team, in the same age division, more than twice within 3 years. The initial qualifiers will be held on KGS with Ing rules, April 8th and 9th. The top two players of each group will play final games face to face, place to be determined, on May 20th and 21st. Final winners will represent the US to this year’s World Youth Goe Championship on July 18-23 in Chiangmai, Thailand. Ing’s Goe Foundation and the American Ing’s Goe Foundation will pay round trip airfare and hotel. Registration is due by April 3, 2017. To register, email your name, date of birth, division, rank, KGS id, phone and address to mingjiu7p@hotmail.com. You may also call Mingjiu at (650-796-1602) Sponsored by: Ing’s Goe Foundation. -Paul Barchilon, E-J Youth Editor. Photo: Youth competing at a previous WYGC final. 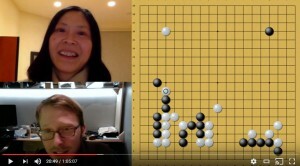 Park Jeong Hwan 9P and Mi Yuting 9P are facing off for the title in the Nihon Kiin’s “World Go Championship.” The final matches are being broadcast live now (10p EST) on YouTube, with commentary by Michael Redmond 9P and Anti Tourmanen 1P. has been posted. 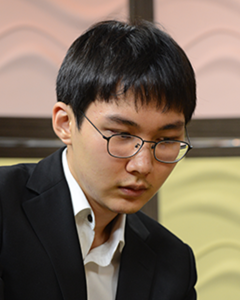 Park Junghwan beat DeepZen and Mi Yuting beat Iyama Yuta in the second round, leaving both 2-0. Click here for Round 2 commentary (Part 1); Part 2 is here.